Radico Khaitan has been ageing malt at its malt distillery for the last 25 years but they “were never in a hurry to launch single malt. Once we felt confident of having a very fine product and adequate stock, did we decide to venture into our own branded single malt whisky,” says Abhishek Khaitan, Managing Director, Radico Khaitan. However, a lot of thought went into giving the Radico single malt a distinct Indian identity. “We are very proud of the fact that it is an Indian product and we wanted to highlight the Indian origin in our packaging as well. While the product itself says ‘Indian Single Malt’, the subtle usage of Devnagari script and the silk pouch with embroidery add to the Indian-ness,” explains Abhishek. Radico’s spirits are distributed in 66 countries world-wide. And, the production of Rampur Indian Single Malt is yet another step to cement the company’s standing as a premium spirits producer in India and abroad. Delving into this aspect, Abhishek says, “Radico took a conscious decision a couple of years ago not to chase volumes but to focus on premiumisation of our portfolio. The journey started with Magic Moments Vodka followed with Morpheus Brandy – the most expensive brandy in India, Electra our RTD and now RAMPUR. The path of our future growth lies in offering premium products to our consumers for an enhanced and fulfilling experience.” Touted as the Kohinoor of single malts, RAMPUR’s global distribution began in May and it will be soon available at Delhi Duty Free. Rampur Indian Single Malt is different yet pleasing, spicy but balanced. It is INDIAN.” Thus describes Sanjeev Banga, President – International Business,Radico Khaitan, the distinctiveness of his company’s first single malt and India’s third. 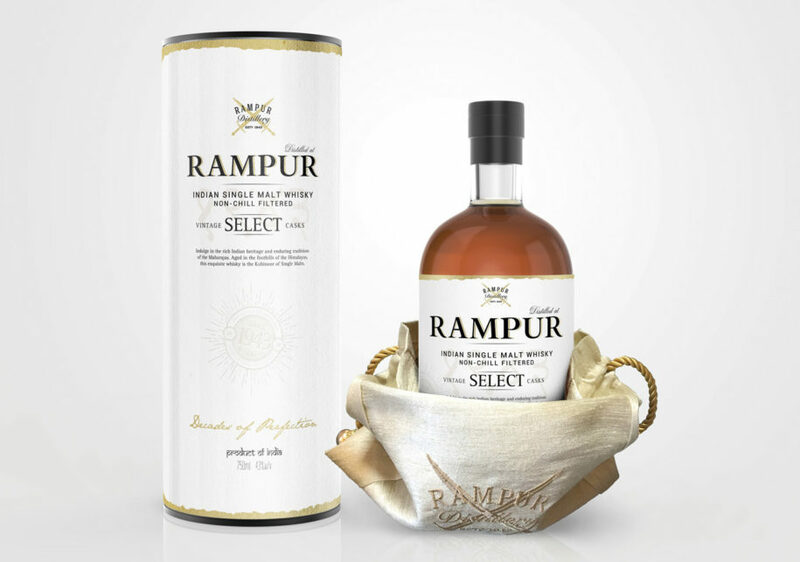 “Rampur Indian Single Malt is for discerning single malt consumers all over the world. Single malt consumers prefer uniqueness in the taste. They are always keen to try a new malt,” says Sanjeev. Unlike most Scottish single malts, Rampur Indian Single Malt is not banking on its age claim to attract malt drinkers. “We are not making any age claim on the product though it is matured for a very long time in harsh Indian weather conditions. We feel age is just a number and should not cloud the consumer opinion. For us the most important thing is that the consumer should like the liquid and desire to have it repeatedly,” says Sanjeev. With Radico spirit brands currently available in 66 countries, Sanjeev thinks it is “quite natural for us to address the global audience with Rampur Indian Single Malt .” However, the company is “not chasing volumes. Rampur Indian Single Malt is a limited release product and we will ensure all markets where the product is launched have adequate stocks at all times,” says Sanjeev. Shipments of Rampur Indian Single Malt with a likely to benchmark retail price of USD 70 per 75 cl bottle have begun for overseas markets such as Americas, Europe, Middle East and Africa including travel retail. floral, honey, dried fruits and hint of spice.